Is your business insured in the event of a fire or flood? The danger of suffering flood or fire damage is something that many businesses face – no matter how unlikely you may think it is to happen. That’s why many business owners opt to include flood and fire cover in their business insurance packages, as it can provide vital protection and financial support if their assets are affected. What is business fire and flood insurance? Fire and flood insurance is a specialised type of cover that can be included in a business buildings insurance or contents policy. Flood and fire insurance is not always included as standard in these policies, though, so it’s recommended that you check with your insurance provider to see if you are already covered, or if you will need to add flood and fire protection on as an extra. What does flood and fire insurance for business cover? Flood and fire insurance can help to rectify damage or loss caused as a result of a flood or fire. This can involve funding repair work that may need to be carried out, or purchasing replacements for damaged contents. Repair work - Could include structural damage to buildings, or it could be machinery that has broken. Replacements - Could include stock that has been destroyed by a flood or fire, or perhaps equipment that your business needs to operate properly. It’s worth noting that commercial flood insurance is often not just for naturally occurring floods, but can also cover any water damage sources, such as burst pipes. Similarly, business fire insurance can sometimes include intentional acts, i.e. arson, as well as natural or accidental fires. Again, this is something you will have to confirm with your insurance provider. Who needs business fire and flood insurance? There may be some businesses that are at higher risk of flood or fire than others. This susceptibility could be for any number of reasons, for example if there is a high risk of fire in a particular industry, or if a business is located in an area that is particularly prone to flooding. However, even if your business is not notably prone to these risks, it’s likely that you could still benefit from having flood and fire insurance in place. The damage that a flood or fire may cause could be severe enough to put your company partially or completely out of business for a while. Having flood and fire insurance in place means that you could repair damage and replace contents in the most time-efficient way, minimising the period of time that you are out of business for. There is no set price for the cost of fire and flood insurance for businesses. As such, it’s unlikely you will be able to get an accurate quote without an individual analysis of your business’s needs. 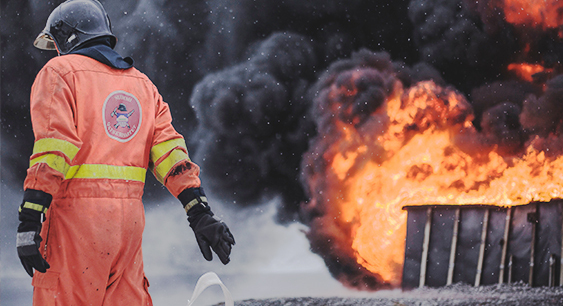 The reason for this is the range of factors that can influence the price of commercial fire insurance, and the extent to which these factors can vary from business to business. The best way to get an accurate quote for fire and flood insurance rates is to speak to an insurance expert who can advise you on the cover that’s right for your business’s needs - and provide a quote based on those needs. They can even provide you with other useful information such as commercial buildings insurance rates. A quick chat with one of our insurance experts is all it takes to get the protection that you need. Call 0800 970 0077 today to get a no obligation commercial business insurance quote, tailored to your business’s requirements.